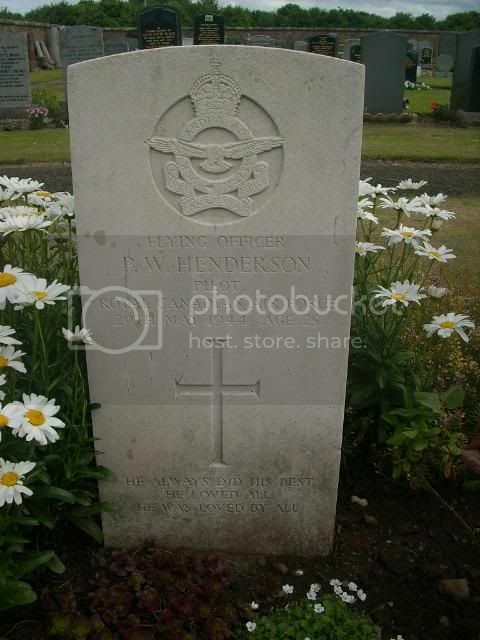 Additional information: Son of Albert G. Henderson and Maude Edith Henderson, of Cardston, Alberta, Canada. Grave/Memorial Reference: Sec. E. Grave 23. 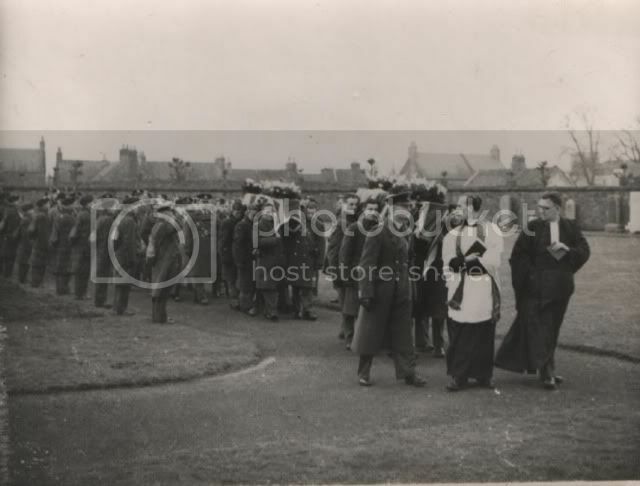 "He always did his best, he loved all, he was loved by all"
Additional information: Son of Hedley Saunders Hill and Ada Florence Hill, of Reading, Berkshire; husband of Kathleen Mary Hill, of Reading. Grave/Memorial Reference: Sec. E. Grave 896. 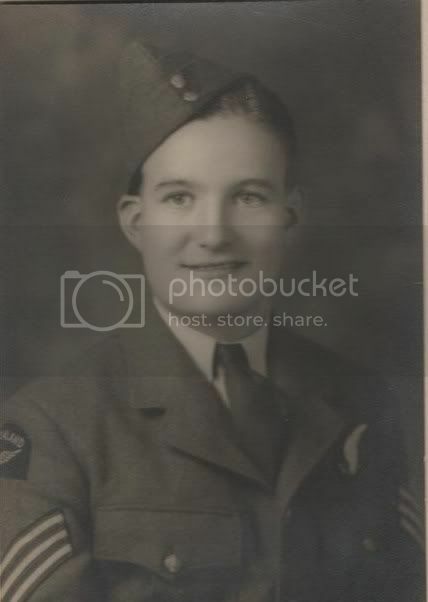 Additional information: Son of William H. Hunter and Mabel Faith Wright Hunter, of Varney, Ontario, Canada. Grave/Memorial Reference: Sec. E. Grave 898. 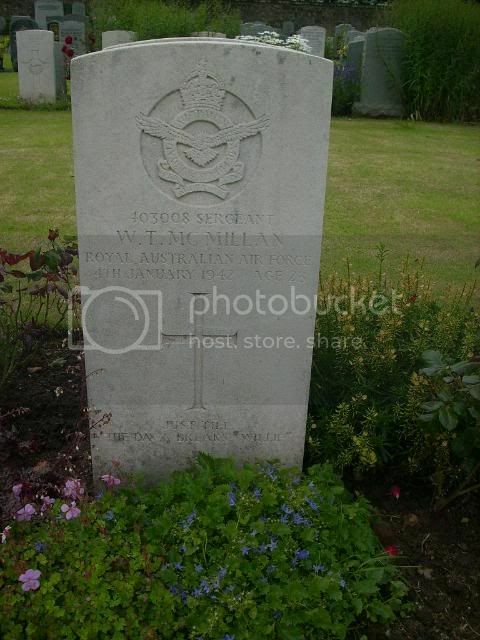 R84448 Sgt R W Hill Pilot Royal Canadian Air Force 8th April 1942 age 21. 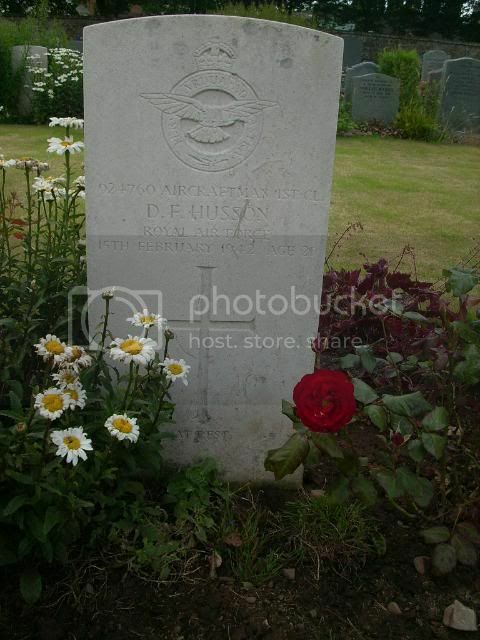 Additional information: Son of Frank Guilderoy Husson and Ada Emily Husson, of Winchester. Grave/Memorial Reference: Sec. E. Grave 902. 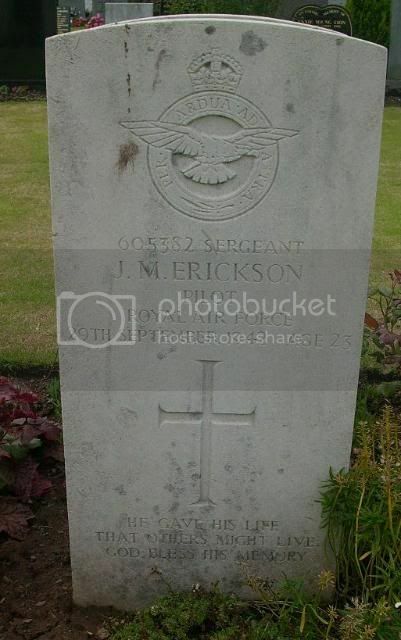 Additional information: Son of Reginald Leslie and Ellen Mary Jameson, of Rotherham, North Canterbury, New Zealand. Grave/Memorial Reference: Sec. E. Grave 25. 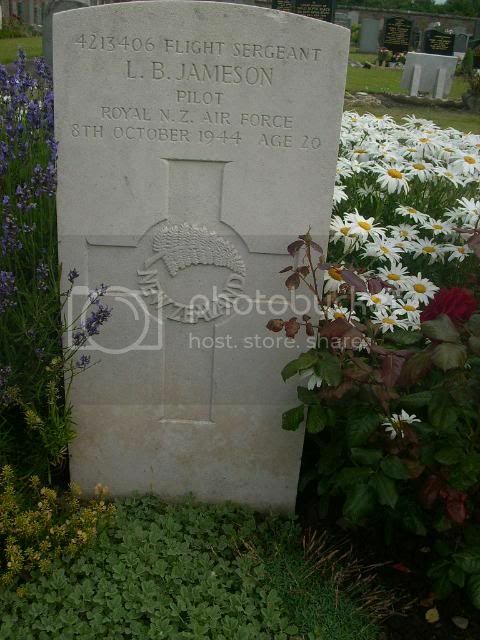 4213406 Flight Sgt L B Jameson Pilot Royal New Zealand Air Force 8th Octobet 1944 age 20. 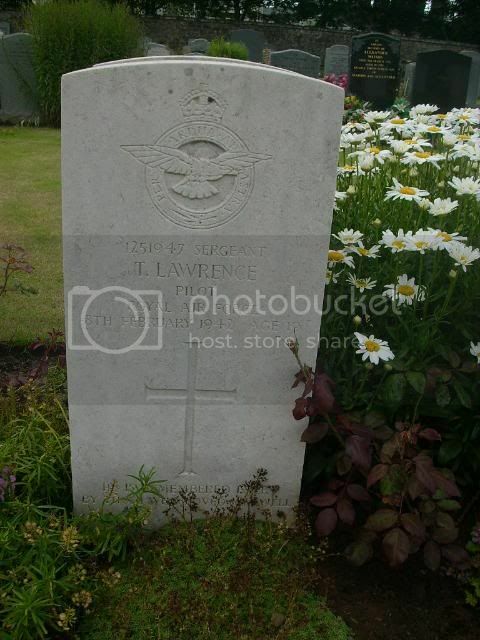 Additional information: Son of George William and Emily Florence Lawrence. Grave/Memorial Reference: Sec. E. Grave 900. "He is remembered ever by those who loved him well"
Additional information: Son of John and Jessie Lawrie, of Napier, Hawke's Bay, New Zealand. Grave/Memorial Reference: Sec. E. Grave 903. 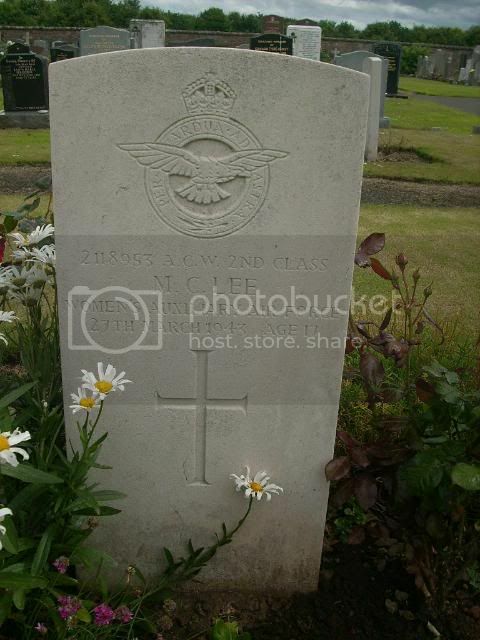 405607 Sgt A Lawrie Wireless Operator/Air Gunner Royal New Zealand Air Force 8th Februaru 1942 age 21. 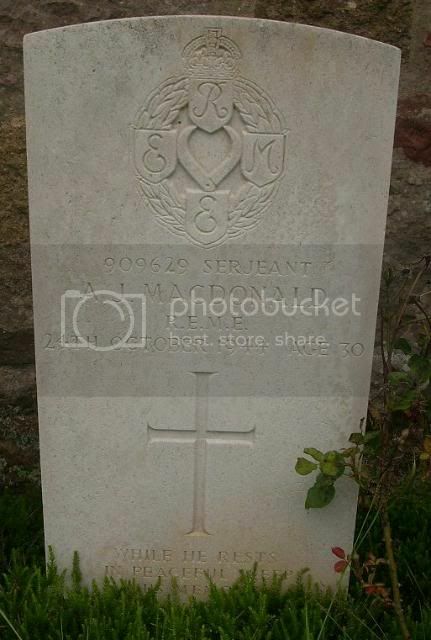 They were killed together and buried in a joint service. It is thought that the Defiant they were flying made contact with North Berwick Law in cloud, and they were killed when the plane came down near Kingston Farm on the way back to East Fortune. 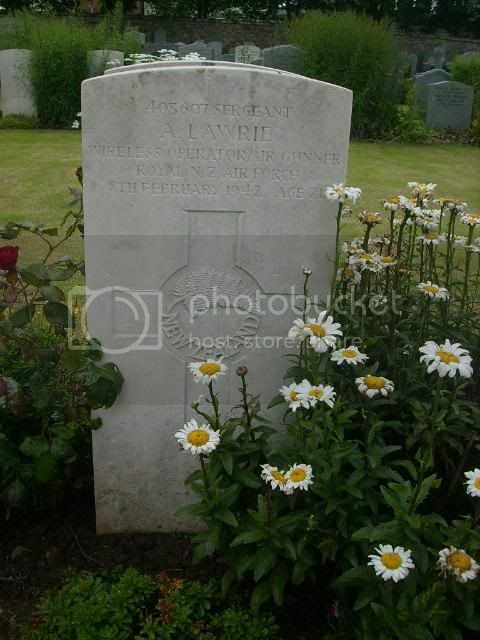 Andrew Lawrie emigrated from Haddington aged 6 months and he was buried in his hometown just 21 years later. 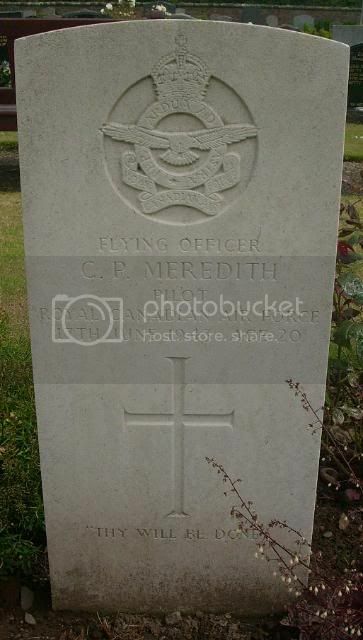 Additional information: Daughter of Alexander and Janet Clark Lee, of Edinburgh. Grave/Memorial Reference: Sec. E. Grave 11. 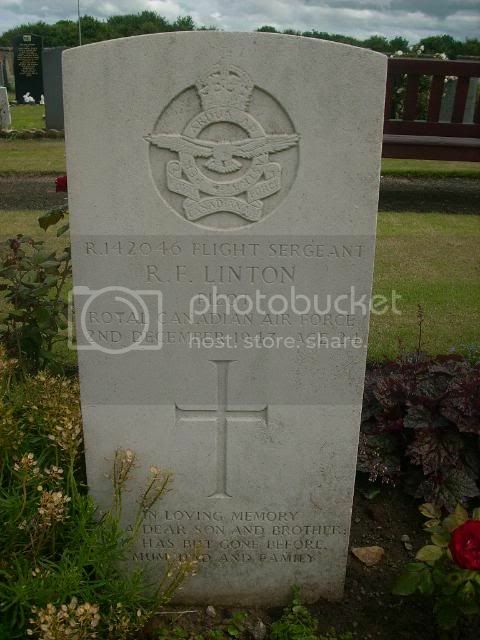 Additional information: Son of Roy Franklin Linton and Euphemia Rose Linton, of Wolseley, Saskatchewan, Canada. Grave/Memorial Reference: Sec. F. Grave 19. 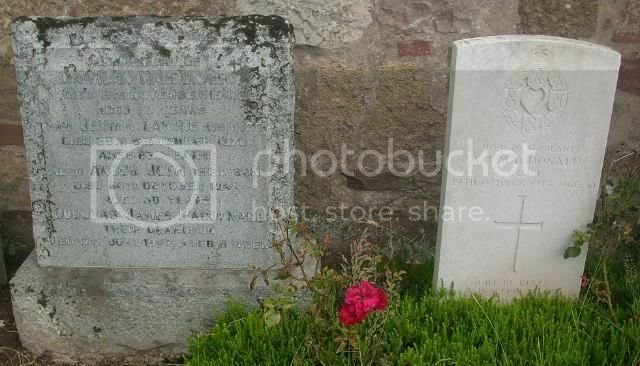 Additional information: Son of Lachlan and Jemima Macdonald; husband of Barbara Jessie Myrtle Macdonald, of Bodicote, Oxfordshire. Grave/Memorial Reference: Sec. A. Grave 153. "While he rests in peaceful sleep his memories we shall always keep"
In memory of Lachlan MacDonald died 19th November 1947 aged 70 years and Jemmima Lawrie his wife died 29th September 1970 aged 87 years also Angus John their son died 24th October 1944 aged 30 years, Douglas James MacDonald their grandson died 17th June 1947 aged 5 weeks. 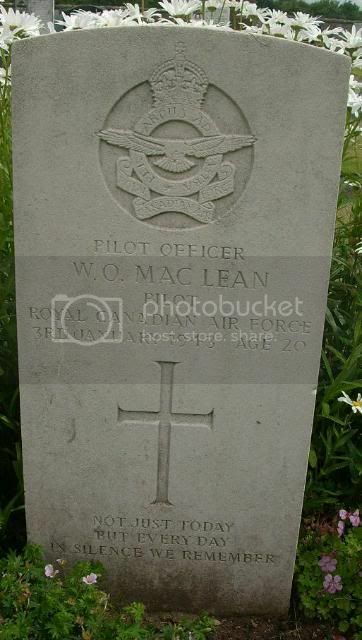 Additional information: Son of D. N. MacLean and Jessie MacLean, of Regina, Saskatchewan, Canada. Grave/Memorial Reference: Sec. E. Grave 9. "Not just today, but everyday in silence we remember"
Additional information: Son of Andrew and Frances Eveline McDougall, of Wavell Heights, Queensland, Australia. Grave/Memorial Reference: Sec. E. Grave 17. 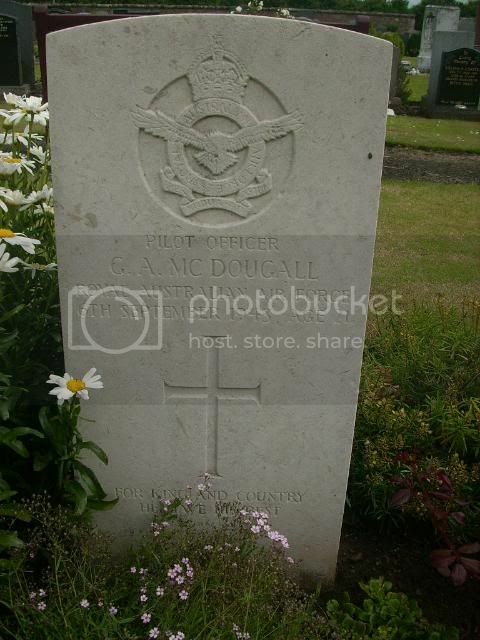 "For King and Country he gave his best"
P/O McDougall was killed when Hurricane 1 W9145 of 59 OTU collided with another Hurricane, while practising formation flying and crashed at Belton Ford, about 2 m WSW of S of Dunbar, a few miles E of East Fortune. 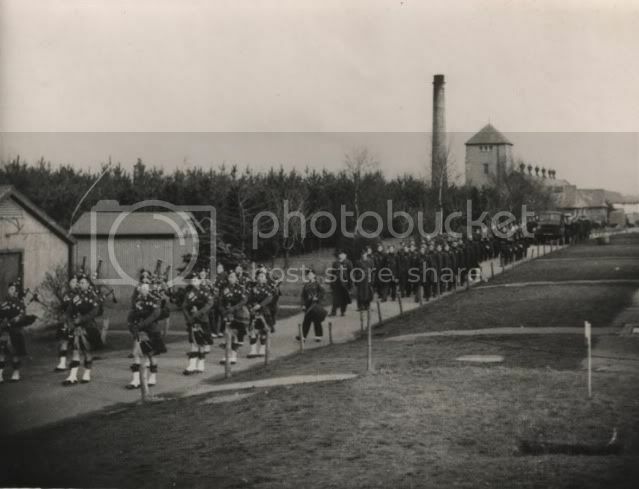 59 OTU was based at RAF Milfield, just over the border in England. 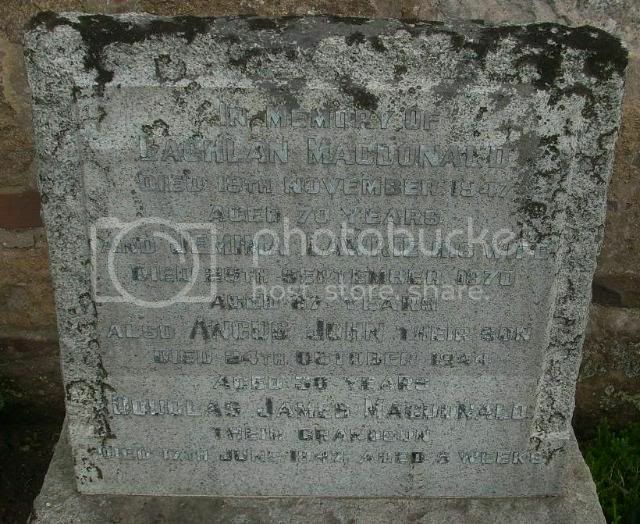 Additional information: Son of James and Matilda McMillan, of Oxley, Victoria, Australia. Grave/Memorial Reference: Sec. E. Grave 904. "Just till the dawn breaks, Willie"
Additional information: Son of Charles Phillip and Laura Meredith, of Long Island, New York, U.S.A.
Grave/Memorial Reference: Sec. E. Grave 16. 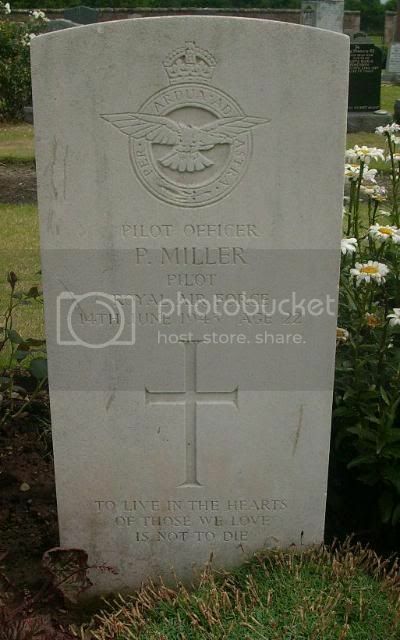 Additional information: Son of Archibald Miller, and of Hannah Mary Miller, of Thoroe Bay, Essex. Grave/Memorial Reference: Sec. E. Grave 15. "To live in the hearts of those we love is not to die"
Grave/Memorial Reference: Sec. E. Grave 893. 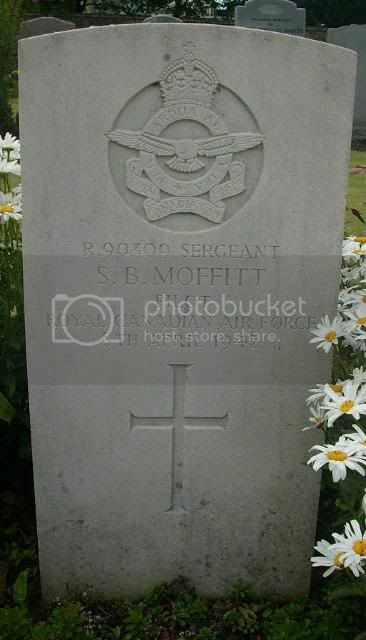 R90309 Sgt S B Moffitt Pilot Royal Canadian Air Force 8th April 1942.